Aberdeenshire is one of Scotland’s most amazing places and home to famous towns and villages. It’s been an inspiration for many film producers, history enthusiasts, and royals. Aberdeenshire is found along the coast in the North of Scotland and it’s bordered to the East by St Cyrus National Natural Reserve. Its coastline has beautiful seaside towns, sandy bays, and impressive cliffs. Another wonderful thing about the place is that you can spot dolphins playing in Aberdeenshire harbour. Aberdeenshire is definitely beyond words but not beyond reach. Let’s look at the best places where you can stay during your visit, to fully enjoy what Aberdeenshire has to offer. Douneside House is located in Tarland, not very far from Aberdeen. With upscale amenities, fine dining and an exquisite location, it guarantees a chic and classy holiday. 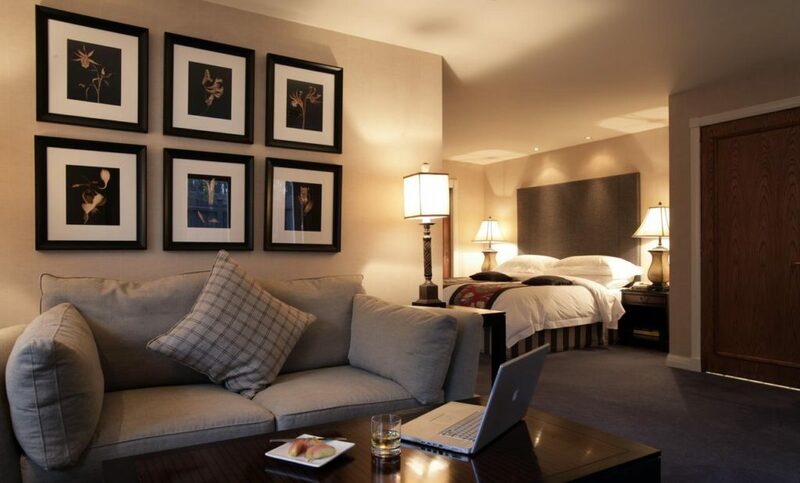 Each room has a customised design, including high-end media entertainment technology and top of the line Wi-Fi access. A few rooms have a private garden and guests can admire the gorgeous surrounding landscape. The lodge’s restaurant offers a large range of food varieties all made with local products. Fruits and vegetables which are grown organically in the gardens of the property add exquisite flavour to the food. Guests can play either tennis or mini golf at the hotel’s Sports and Health Club. Sports enthusiasts can work out using modern equipment of the Fitness Club. For a bit of relaxation, the lodge offers specially designed yoga classes. 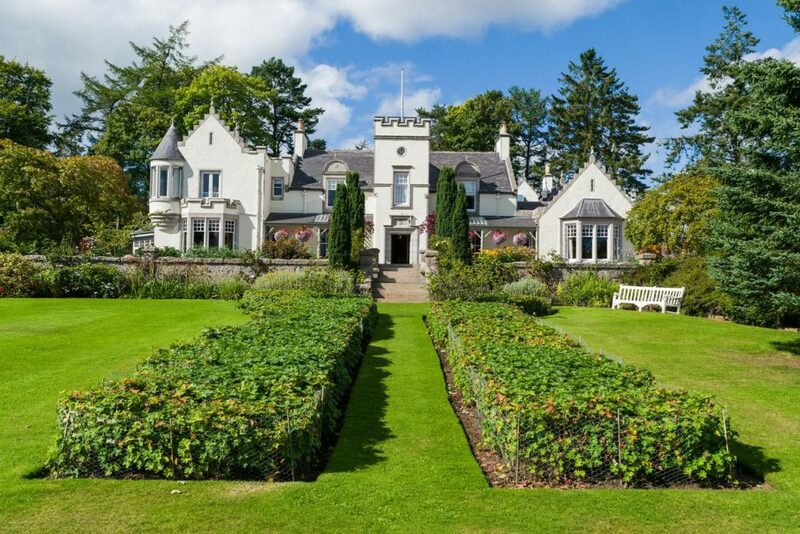 Meldrum House Country Hotel & Golf Course is a unique property located in the centre of Aberdeenshire’s countryside. It offers luxury accommodation with gorgeous customised rooms and sophisticated dining. The Manor House offers relaxation in 10 rooms, each with an amazing style. Each room design maintains the lovely baronial character of the hotel. The New Wing offers a wide selection of 10 Standard Rooms and 18 Club Rooms. The Stables, which is attached to the Manor House, adds a contemporary style to the hotel, offering 13 modern large rooms. 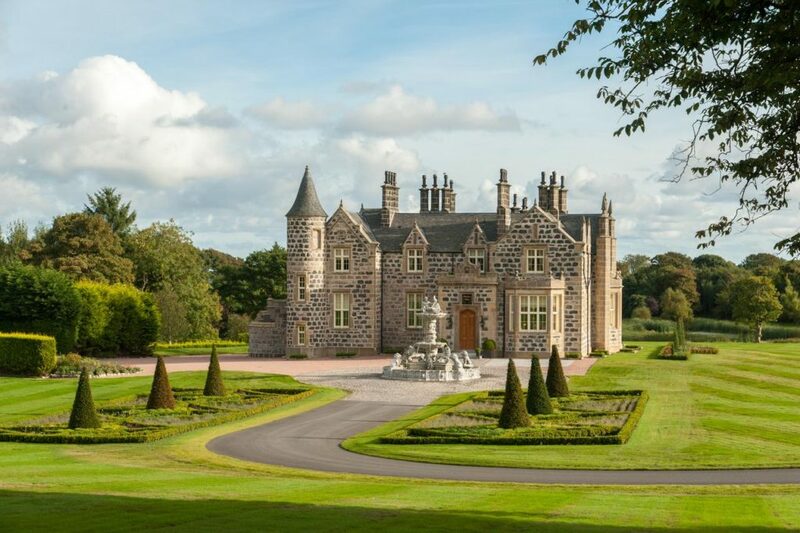 The superb Scottish mansion and lodge is situated at the heart of the Trump International Estate in Aberdeenshire. The lodge is surrounded by mountain ranges, rivers and lochs. The property’s secret stairways, extensive whiskey collection, and traditional log fires maintain and offer an authentic Scottish cultural experience. Charming and luxurious rooms have great entertainment amenities and free wi-fi access. The property’ restaurant offers fine dining and special diet menus on request. Traditional Scottish breakfast is served in the mornings including haggis, Stornoway black pudding etc. The elegant dining room is great for special cocktail events. 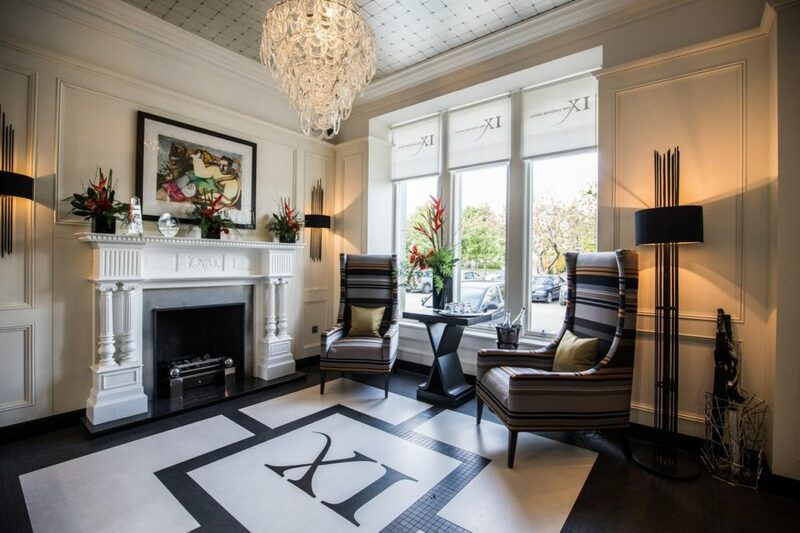 Found just 2.4 km from Aberdeen Railway Station and just 20 minutes away from Aberdeen centre, this 19th-century hotel mixes historical design and contemporary amenities. The hotel’s rooms are elegant and offer great modern features and top of the class items inside of each room. Guests can socialise and relax in a beautiful and elegant lounge and TV area while enjoying the beautiful surroundings of the place. For anyone who wants to play golf, the Royal Aberdeen Golf Club is just 10-minutes away by car. 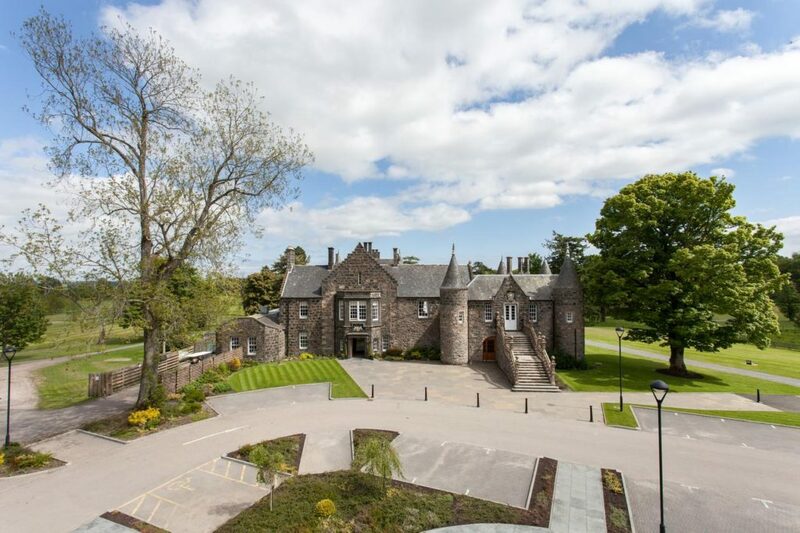 The Marcliffe Hotel and Spa is located 9 km away from Aberdeen Airport. Its 12 five-star rooms offer astonishing luxurious facilities. The lovely surroundings add to the comfort of each spacious room. A comfortable lounge overlooks the beautiful gardens which are very quiet at night. Guests can relax in the amazing Spa or workout after enjoying a morning traditional English/Irish breakfast. It’s a fabulous hotel offering great service by well trained and attentive staff.